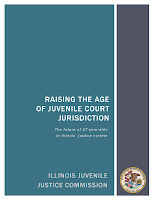 This week the Justice Policy Institute released a report entitled, “Juvenile Justice Reform in Connecticut: How Collaboration and Commitment Improved Outcomes for Youth,” and the Illinois Juvenile Justice Commission released its report entitled, “Raising the Age of Juvenile Court Jurisdiction: The future of 17-year-olds in Illinois’ justice system.” Conclusions from both reports support the notion that raising the age is consistent with legal trends, is consistent with adolescent development and behavior; is an efficient use of juvenile court resources; improves public safety; and decreases long-term costs. The positive effects of these reforms have far exceeded expectations thereby debunking the myth that placing more 16 and 17 year olds in the juvenile justice system will “crash it” and sacrifice public safety. The impact of reforms in Connecticut and Illinois prove that thoughtful analysis and long term planning can create positive legislative reforms in systems deemed too dysfunctional for repair. 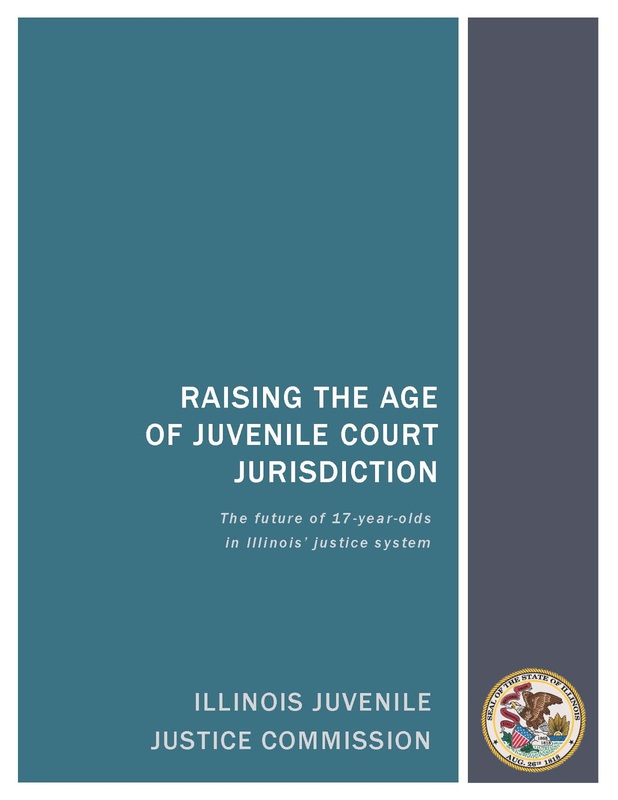 Extending juvenile jurisdiction to 16 year-olds has increased juvenile caseloads far less than expected (22 percent actual vs. 40 percent projected), reducing the state’s expenditures to serve these youth by nearly $12 million below the amount initially budgeted for the 2010 and 2011 fiscal years. Raise the Age legislation enabled 8,325 16 year-olds to avoid prosecution and punishment in the adult criminal justice system. 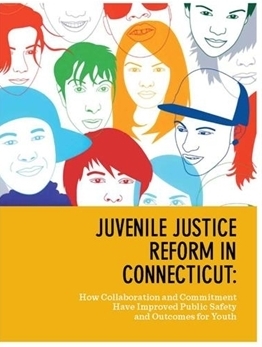 16 year-olds served by the juvenile system have had higher success rates in alternative programs and lower rearrest rates than youth 15 and younger, disproving concerns that they should be in the adult system. Although it was predicted that adding roughly 18,000 misdemeanor arrests of 17 year olds would overwhelm the system by a 38 percent increase at the arrest stage, arrests are actually down 24 percent in the state. County juvenile detention centers and state juvenile incarceration facilities were not overrun. In fact, one detention center and two state incarceration facilities have been closed and excess capacity is still the state norm. Due to the success of adding 17 year old misdemeanants, adding 17 year olds convicted of felonies is predicted to be manageable. Connecticut and Illinois are just two examples of state reforms that are happening throughout the nation. States all over the country are considering reforms, including Massachusetts, North Carolina, and Maryland. With a new Administrator for the federal Office of Juvenile Justice & Delinquency Prevention (OJJDP) about to take the helm, there is a major opportunity to accelerate the pace of reforms throughout the country with federal support. This blog was reprinted from the Campaign for Youth Justice Blog.